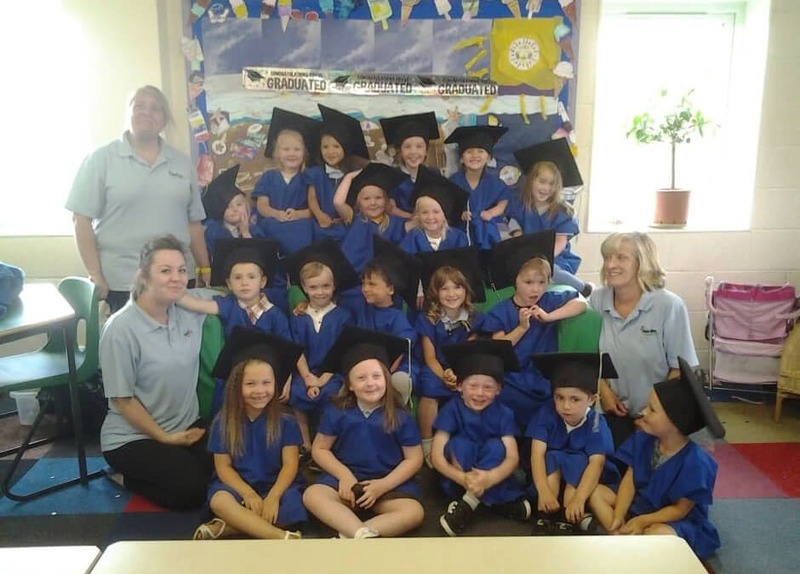 Today marked a very special day in Blue Sky Nursery’s calendar… Graduation Day! Today is the day we congratulate all our amazing preschool children on the fantastic progress they have made and wish them luck for their future as they head off on the first steps of their journey to school. The parents watched with teary eyes as their children, all proudly wearing their gowns and mortar boards, received their certificates and a small gift from the preschool team. Vicky, Corrine, Tina and Amie would all like to wish all the children the very best for their futures and hope they will all pop in from time to time to say “hi”and show us how much they have grown, they will all be very much missed by everyone at Blue Sky but we know they will get on great.